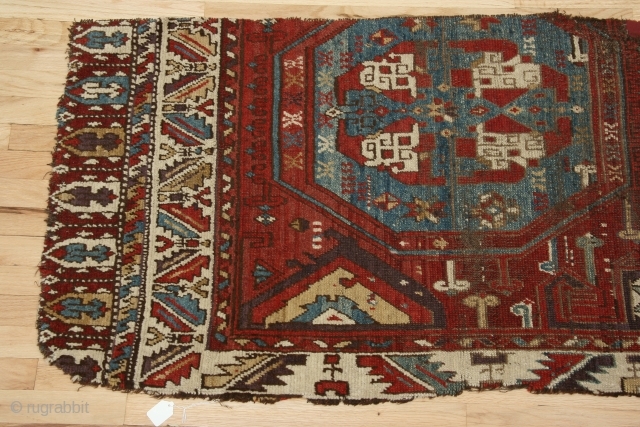 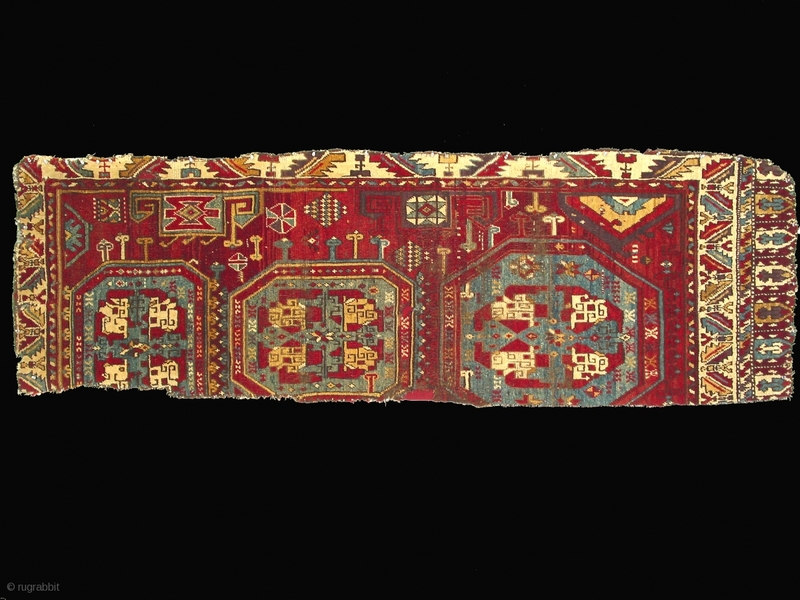 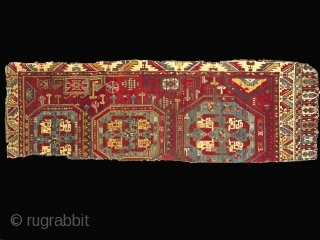 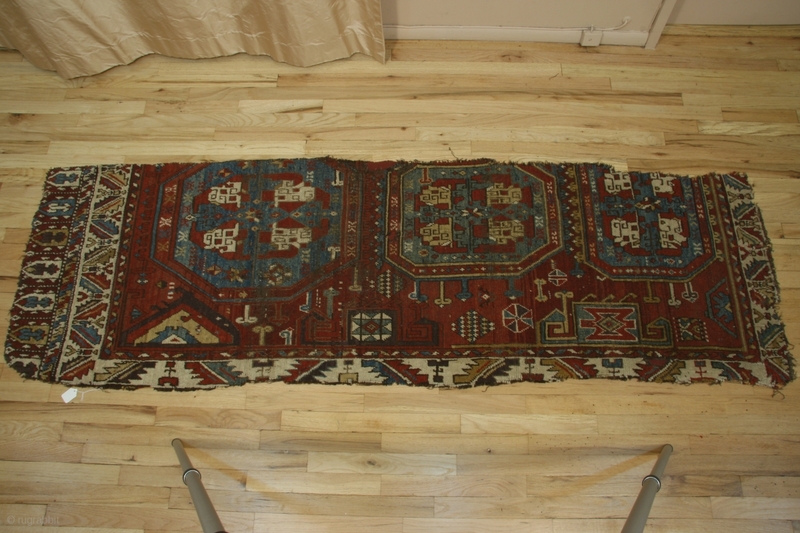 Anatolian carpet fragment, Karapinar, 30 x 90 inches (76 x 241cm), early 19th century. This carpet fragment contains more variants of the eli-belinde motif than i have ever seen before on one kilim or carpet. 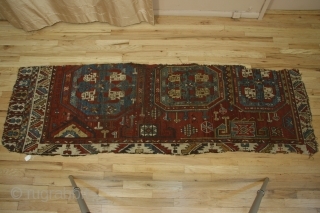 Professionally cleaned.